We invite you to read the book, the rewatch the movie, and then tell us what you think on social with #FocusBookClub. We’ll share some of our favorite responses in our next Book Club piece! In 1797, a 21-year-old Jane Austen finished the manuscript of a novel called First Impressions (Keira Knightley is reading a book called First Impressions at the start of the film Pride & Prejudice). 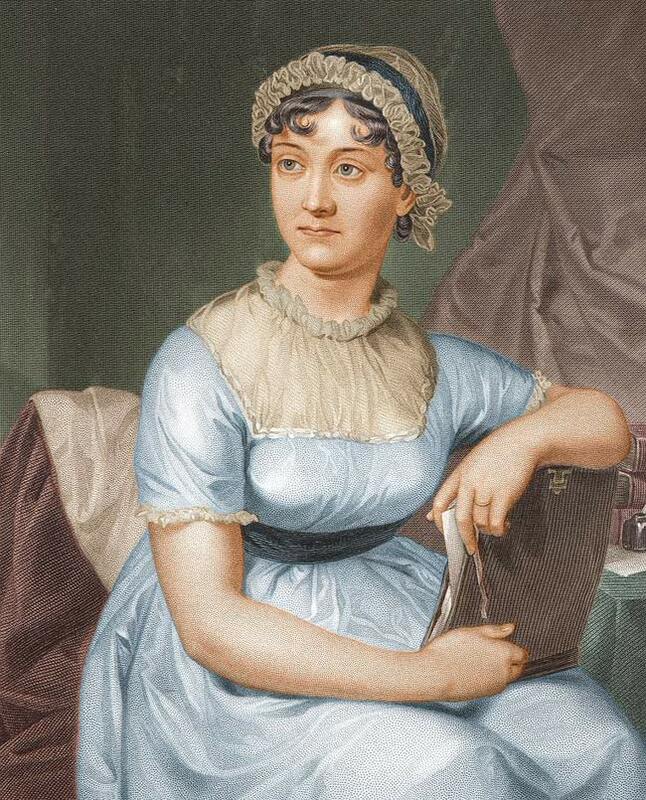 Sixteen years later, Austen would publish that book under a new title, Pride and Prejudice. Since then, the book’s enchanting story of Elizabeth Bennet discovering her love for Mr. Darcy has ranked among the most beloved novels in English Literature. In a 2003 BBC poll, it came in just behind The Lord of the Rings as the UK’s "Best-Loved Book." While its Georgian world of mannered civility and fancy balls might at first seem dated, its core story about self-discovery and true love remains eternally relevant. Not only has it been adapted into films, plays, and even an opera, the characters and story have been recast as zombies, Bollywood stars, and even one Bridget Jones. 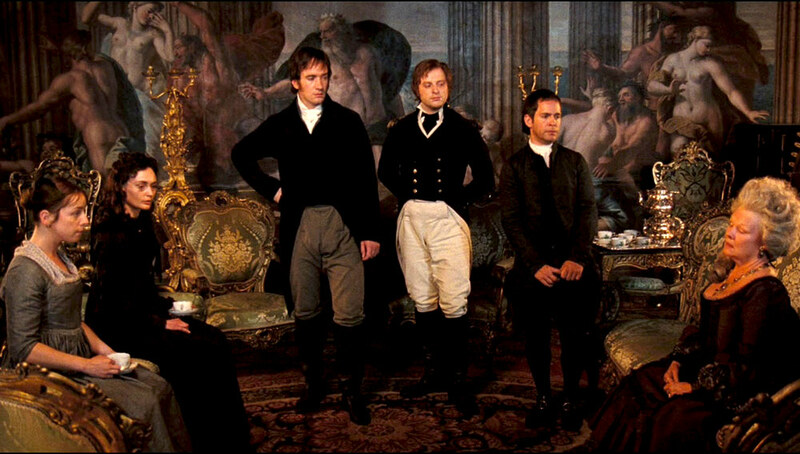 Some of Pride & Prejudice's many characters. While Elizabeth and Darcy are at the center of the story, its brilliantly rendered characters give the novel its depth and humor, characters that Wright has made flesh-and-blood with his casting. The buffoonish Mr. Collins (brilliantly played by Tom Hollander) embodies all that is foolish in social pomp. Judi Dench as the calculating Lady Catherine de Bourgh illustrates the mercenary nature of marriage and social connections. And Lizzie’s father, played to perfection by Donald Sutherland, brings a gentle gravitas to the crazy goings on at the Bennet household. "There is no enjoyment like reading! How much sooner one tires of anything than of a book!" The famous joke about some studio honcho yelling to get that “Austen” to write his next movie underscores how brilliantly her dialogue translates to film. Her wit is unparalleled. Anthony Trollope said about Austen, “In the comedy of folly, I know no novelist who has beaten her.” Both the novel and the film revel in the power of words, be it the silky underhanded insults traded at a ball or the come-hither repartee exchanged by potential lovers. New York Magazine highlights how fierce the word play can be when it explains, “Any suitor of sense and sensibility would steer clear of Knightley’s Elizabeth Bennet, lest the fangs and claws come out too quickly.” While Deborah Moggach’s screenplay beautifully translate much of Austen’s wit to the screen, there is, as Caroline Bingley exclaims in the novel, “no enjoyment like reading! How much sooner one tires of anything than of a book!" Keira Knightley and Matthew Macfadyen flirt with Austen's words in Pride & Prejudice.